Welcome to 'Photo of the week'! This page was started on Wednesday, 17 January 2007 as a way of getting some of the contributors' pics up online before I actually have the chance to update some of the pages. Hopefully it will not become an alternative to regularly updating the site, which I hope to keep doing. If you want to see your photo here or elsewhere on the site - please email me. This page will be updated every Wednesday (I hope). Is this concept a good idea or is it a waste of time? Tell me what you think - email me! UPDATE: Well, the concept of Photo of the Week hasn't quite worked. I'm still pondering what to do with it but in the meantime, here's a new photo! 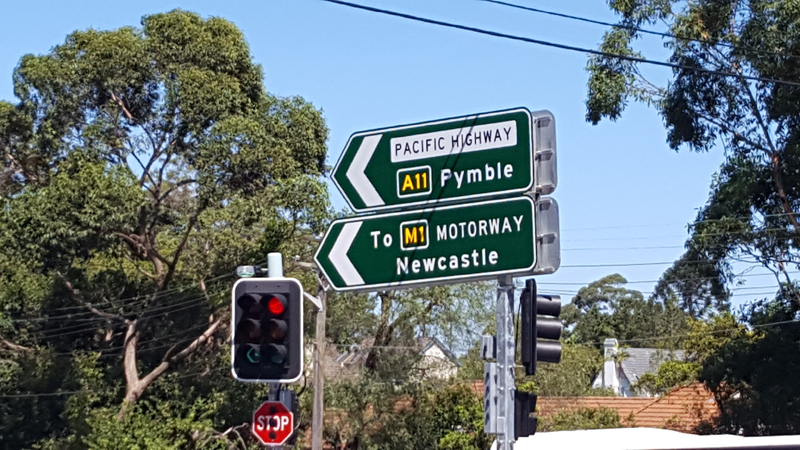 In February 2019 a new set of Intersection Direction signs appeared at the intersection of Pacific Highway & Pennant Hills Road at Pearce's Corner, showing Pacific Highway towards Pymble as 'A11'. 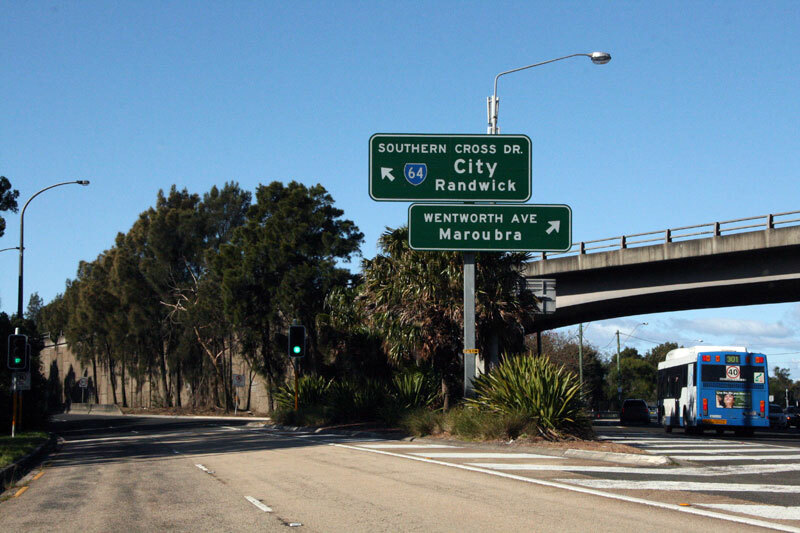 Many have been wondering what the route numbering might look like once NorthConnex opens to traffic - would it be signed as part of M7? 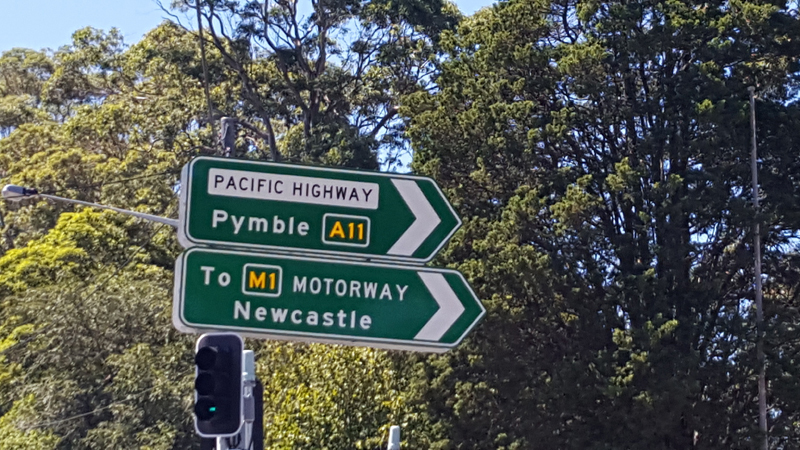 If these signs are not errors, they indicate that perhaps M1 will be signed via NorthConnex and the M2/Lane Cove Tunnel, with the existing A1 route renumbered A11. Contributed by: Anon. Photo taken: February 2019. 17 January 2006 Pacific Highway looking north on Jones Island, between Taree and Coopernook, November 2006. Contributed by: Patrick McKendry. 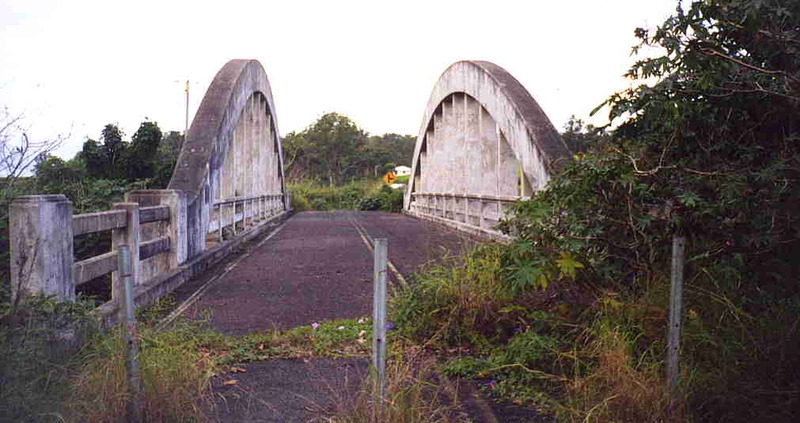 24 January 2006 Looking south across the old concrete bowstring arch bridge that carried Pacific Highway over Shark Creek near Maclean from 1935 until 1986. Contributed by: David Farlow. 30 April 2007 Sydney-Newcastle (F3) Freeway, looking south from Jerusalem Bay Track at Cowan, showing widening work underway. Contributed by: Graham Christie. 22 July 2007 Signs in the snow: During one of the coldest periods in memory, snow fell all across New South Wales. 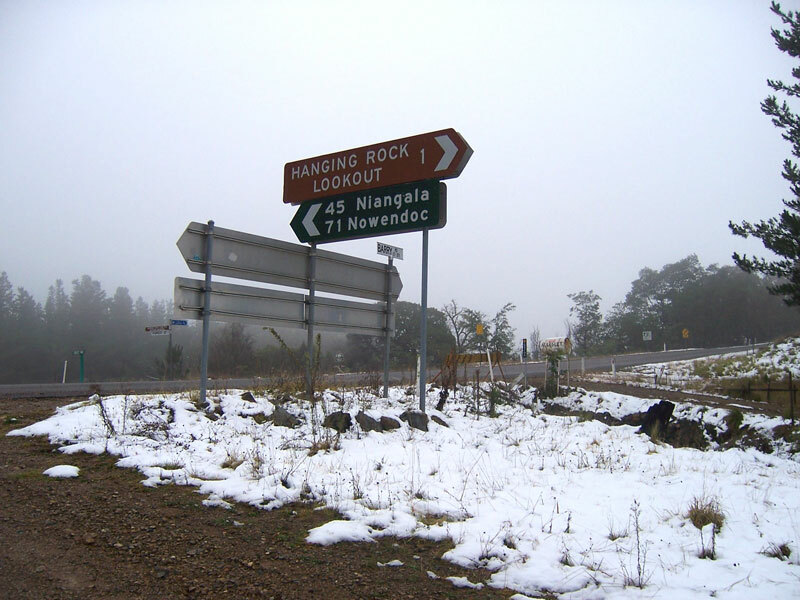 This photo shows fingerboard signage on Barry Road at Hanging Rock, 61km south-east of Tamworth. Contributed by Michael Gill. 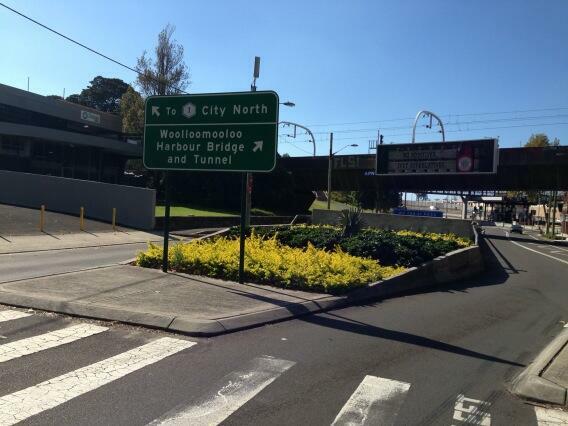 12 July 2011 These signs at the Southern Cross Drive/Wentworth Avenue interchange in Eastlakes, NSW, date from the opening of the Southern Cross Drive extension in 1989. In 1992 the SR64 shield was coverplated with a Metroad 1 shield, however, the coverplate has recently come off exposing the SR64 route shield. Contributed by: Dean Jones. 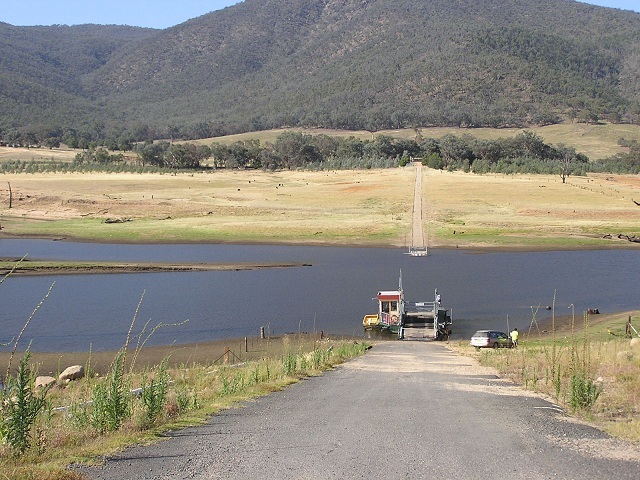 1 August 2012 A southerly view of the little used Wymah Ferry across the Murray River, east of Albury. This is one of only a handful of remaining vehicular ferries across this great river. Contributed by: Me! Photo taken: January 2008. 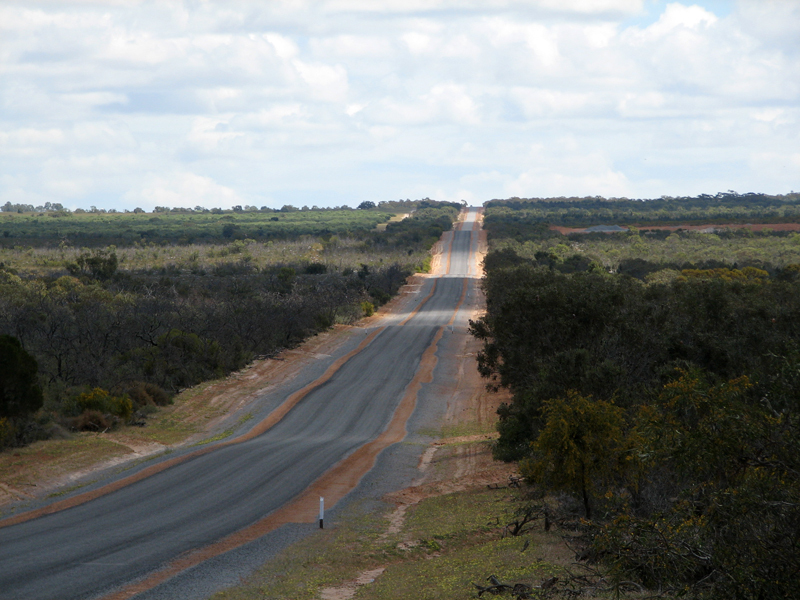 A long, straight, undulating road - the camera zoom accentuates the humps along the recently sealed Watheroo West Road, 26km west of Watheroo. Contributed by: Me! Photo taken: October 2012. 20 October 2012 A westbound view of the new railway overpass on Boundary Street, Roseville. Note the provision of future road widening. Contributed by: Daniel Thornton. Photo taken: October 2012. 29 November 2012 One of the many facepalms on our road network - National Route 127, of course, does not exist. The sign designer obviously doesn't know the difference between route numbering and legal classification. 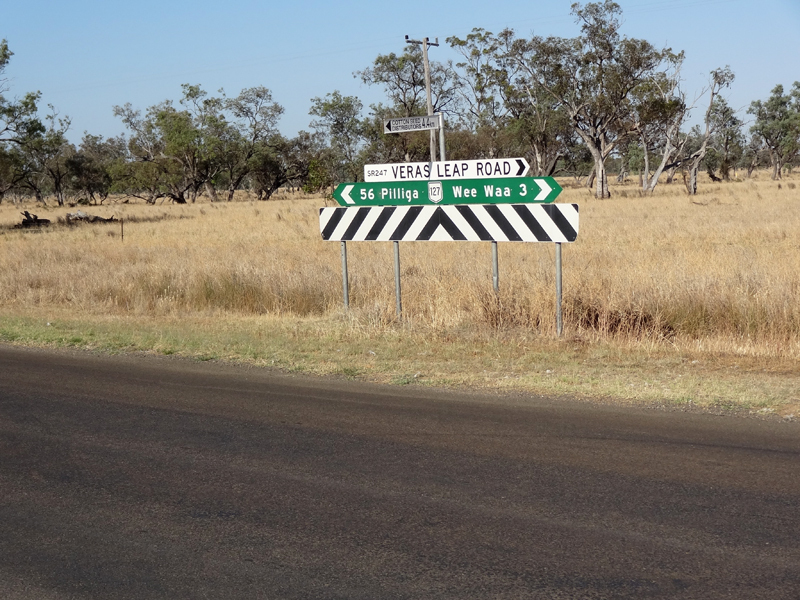 Veras Leap Road, 3km west of Wee Waa. Contributed by: Peter Renshaw. Photo taken: November 2012. With the imminent introduction of alpha-numeric route numbering, Roderick Breis spotted this sign which incorrectly shows Metroad 1 to the left rather than the right. RMS have advised that they will replace it with a correct sign as part of the alpha-numeric rollout. Contributed by: Roderick Breis. Photo taken: April 2013. 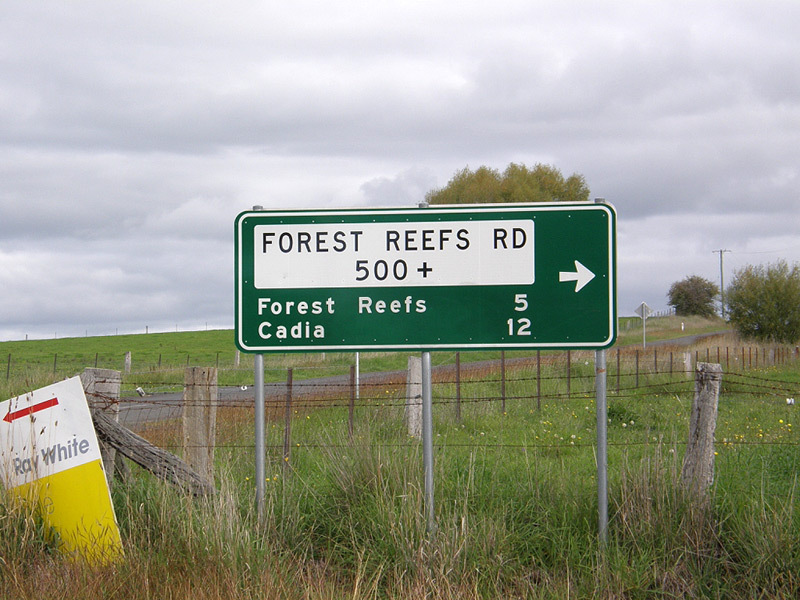 This unusual direction sign is located at the junction of Forest Reef Road & Carcoar Road, 5km west of Millthorpe. The "500+" appears to refer to property numbers along Forest Reef Road. Contributed by: Chris Woods. Photo taken: April 2014.